Mr. Cesar C. Canabal, Sector Head- Eurotel Group of Hotels, said Tuesday during the meeting with ExLink Events Management Corp.
Each OFW has a beautiful story of courage and patience. And we join hands with key institutions like ExLink Events to give due acknowledgment to outstanding overseas Filipino Workers and Balikbayans during the OBRA Awards to be held on December 7, 2012 at the Megatrade Hall, SM Megamall. The 4th Outstanding OFW and Balikbayan Reputation Award (OBRA) is a recognition given to OFWs and Balikbayans who are deserving to be models and inspiration of millions of OFWs and Balikbayans in terms of the following areas in life business success, family building, community service, work ethics and personal characters. In addition, this year OBRA recognizes bloggers who promote and inform the public about the OFW conditions around the world. 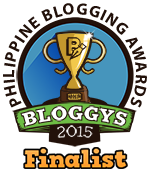 Bloggers have played a vital role in information dissemination because of the explosion of social media. For more details about OBRA call 643.3887 or email info@exlinkevents.com.